I'm gearing up for the exciting new Dystopian Wars from Spartan Games and as the first wave of releases are naval forces, it's time to start work on some islands. 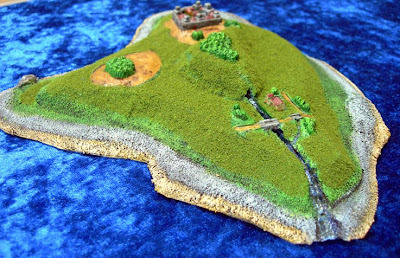 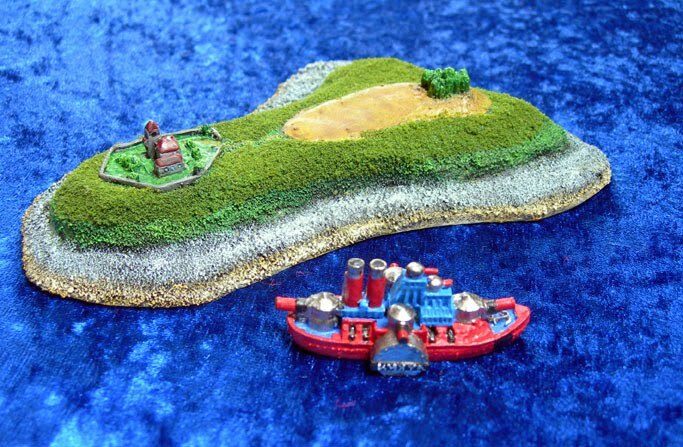 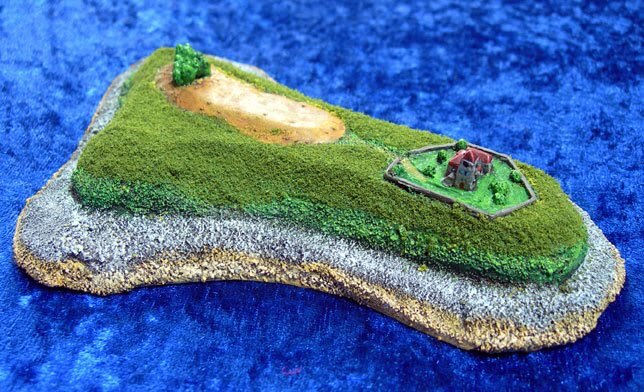 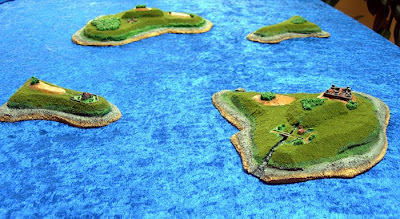 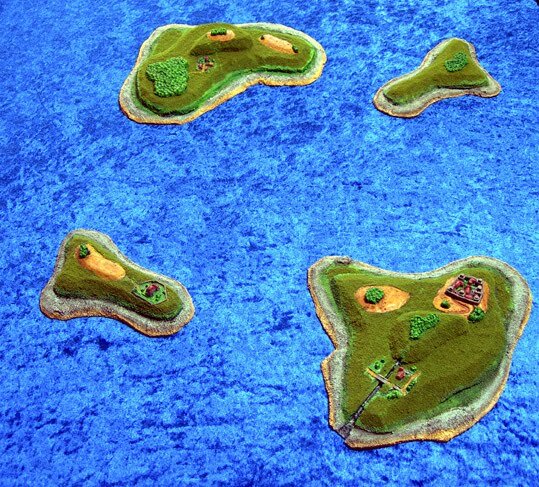 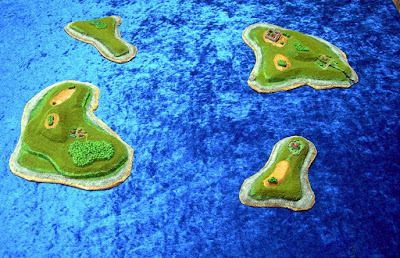 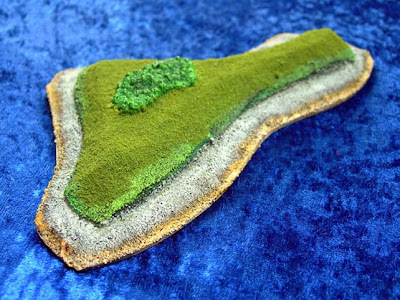 These islands are made from plastic-board, with liberal amounts of sand, flock and paint, and populated with elements from the Irregular Miniatures 2mm range. I'm not yet sure of how the Dystopian miniatures will scale, so I've included some shots of an old GW Man-O-War dwarf deadnaught, painted in all it's early 1990's brightness, for sclae. 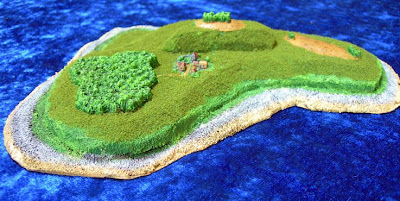 The first islands I made are fairly small. 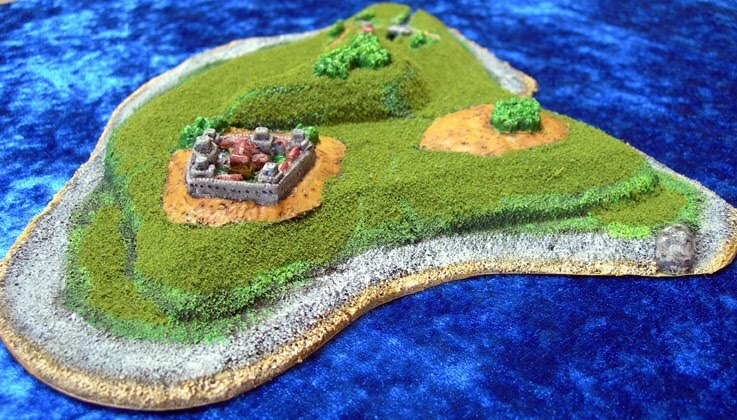 Larger and more populated islands come later. The first island features a small forest: The second island features a small exposed hills with some trees and a church. All four islands together, now I just need some ships!